Taken in a market in Split several years ago before the splitting up of Yugoslavia. 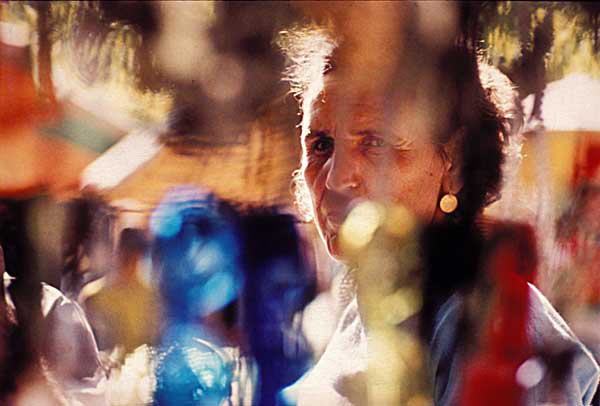 The out of focus elements and reflections form an interesting foil to the shot of the woman looking intently at the camera. A tele lens and wide aperture were used with Afga 50s film. The limited depth of field throws both background and foreground out of focus to emphasise the head of the subject.